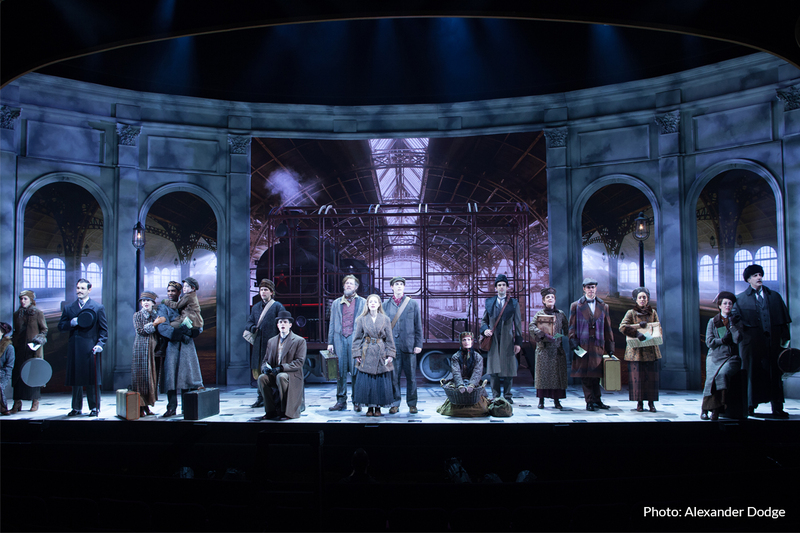 Don Holder has been a master lighting designer on Broadway as well as in the regional, Off-Broadway and television worlds. Credits range from Otello and Two Boys at the NY Metropolitan Opera, Smash on NBC, and numerous Broadway productions, including: In Transit, Oslo and Lion King. 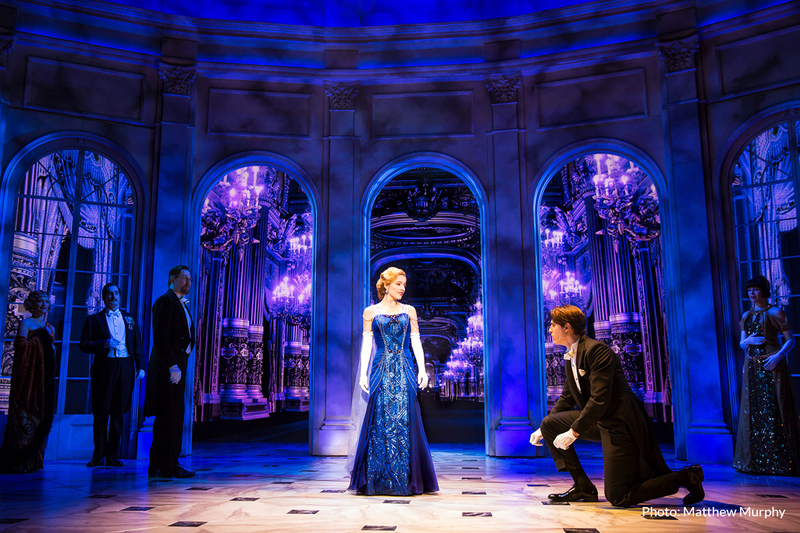 One of his latest endeavors is Anastasia at the Broadhurst Theatre. I got the chance to ask Don about the collaborative process in bringing this production to life on Broadway. How might you describe your design process in relation to working with the other designers? Understanding intention is a principal driving force behind the design choices that I make. It’s imperative to study the visual research on file, along with storyboards, scenic renderings and model photos, costume sketches and swatches so I have a clear sense of the world of the play, and how I should approach the production from a conceptual, architectural, and visual perspective. 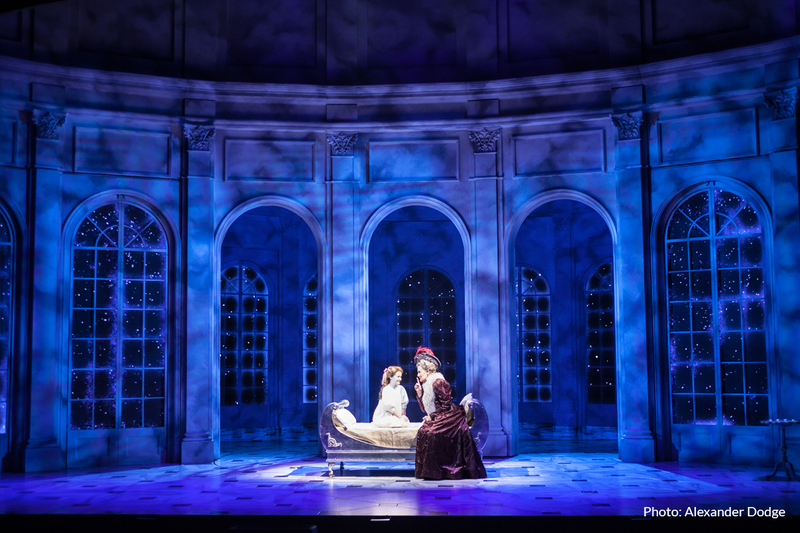 My process with a scenic designer is typically more detailed because scenery and light occupy the same physical space, and internally illuminated scenery is almost a given in most productions today. 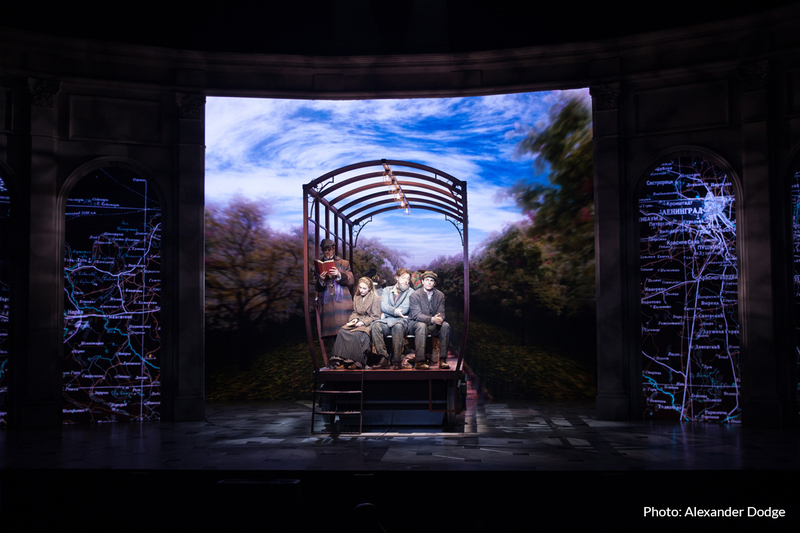 I first met with [Set Designer – Alexander Dodge] to talk through the set design in detail, and I presented ideas/changes I wanted him to consider to better accommodate the lighting. I then met with [Director – Darko Tresnjak] and we had a great conversation about his overall vision for the piece, followed by a walk-through of the storyboards for each scene where we discussed specific vocabulary ideas. In general, I found the process with Darko to be really satisfying – he expressed his point of view very clearly at the onset, but also placed a lot of trust in all the designers to come up with a first pass that he could then shape and refine with us. With costume designers, it is important that I study sketches, swatches and, if possible, the actual garments in progress. I find this preparation to be crucial if I expect to make moment-by-moment lighting choices that will reveal the colors, layers and textures of the clothes as so carefully envisioned by the designer. The process for Anastasia was highly collaborative and supportive, and as a result, I think we all felt very invested in, and proud of, the end-results. 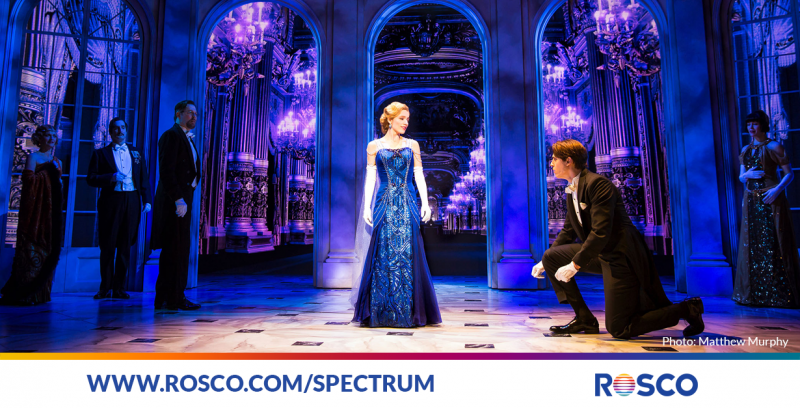 What Rosco products did you use in your design for Anastasia? We’re using a large complement of Rosco templates and Roscolux color filters, including Lux103 Tough Frost, which I find is quite useful as a diffuser for a variety of LED wash fixtures, including the ColorKinetics ColorBlast12. There are over 60 Colorblasts in use on Anastasia, all of which are fitted with a Roscolux 103 filters to soften and spread the beam. How did you approach Anastasia differently from past projects? Anastasia relies heavily on extremely detailed and semi-realistic backgrounds (rendered on high-resolution video screens) to define the sense of place, movement through time, change of seasons, weather, etc. 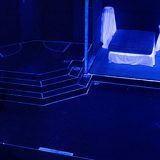 A large part of my work involved analyzing the digital content and making lighting choices that unified the entire stage picture. 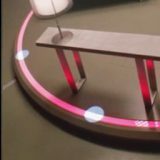 Color-matching between light and video was crucial. 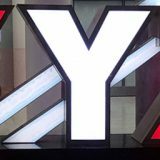 [Projection Designer – Aaron Rhyne] often had to shape his video environments so the color of the content matched the foreground. I often saw references to lighting details I had introduced suddenly appear in Aaron’s backgrounds: it could be as simple as moonlight etching a balustrade with the same angle and color of light seen in the foreground, or searchlights appearing in the Paris skyline at the exact moment of a moving light fly-in during the climax of a big musical finish. Those moments, where we discovered fun ways to work in concert, were definitely the most satisfying. 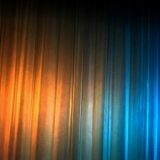 What is your favorite collaborative experience from your past productions? 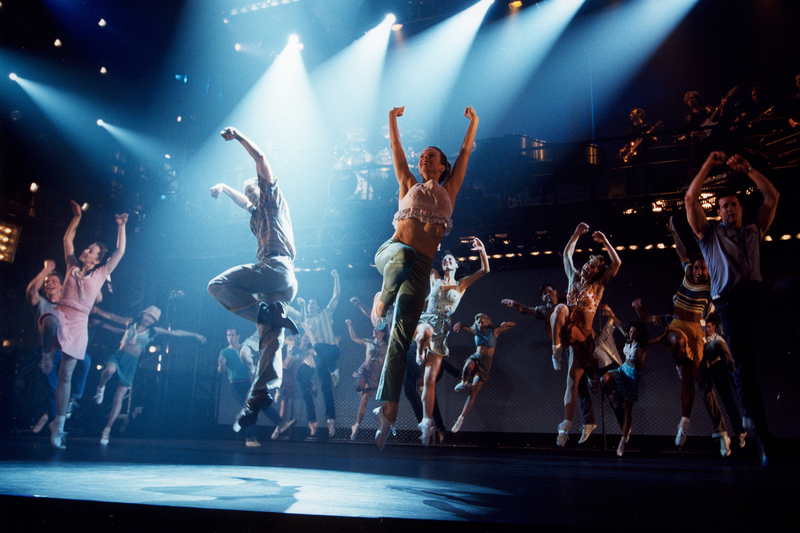 It’s hard to choose my absolute favorite collaboration, but I think Movin’ Out, the Twyla Tharp, Billy Joel dance-theatre piece would certainly be at the top of my list. Twyla developed a dense and quite moving narrative without the benefit of text, and the storytelling was accomplished through virtuosic dance, the iconic music and lyrics of Billy Joel (with a live band playing on a bridge above the performers) and an ever-changing visual landscape. Working with Twyla and the Set Designer Santo Loquasto, we developed a frame for the piece that relied heavily on light to reveal the dance, tell the story and create the architecture for each scene. The collaboration and conversation between Twyla, Santo and I was literally non-stop, during the many weeks of preproduction, through the tech and preview periods in both Chicago and New York. The final product really was a perfect marriage between all the disciplines, the visual approach was exciting, muscular and innovative, and the emotional impact of the piece was quite palpable. Without a doubt Movin’ Out still stands as one of the highlights of my career. 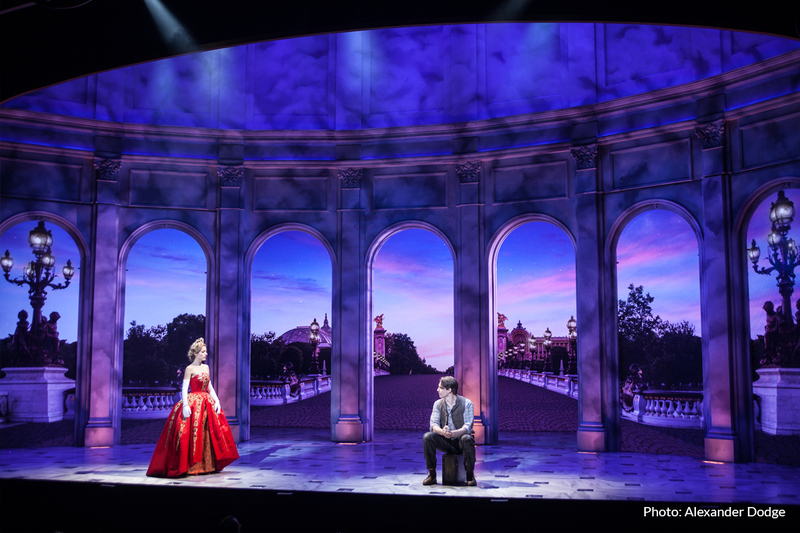 The best way to see the collaborative work of Donald Holder and the entire Anastasia design team is to book tickets to the show – running now at the Broadhurst Theatre in New York City. Susan Hamburger, a New York City-based lighting designer, has worked with numerous dance companies including the Bessie Award-winning Urban Bush Women. She's designed "West Side Story," "Hamlet," and "Much Ado About Nothing" as well as many other original plays and performance pieces. Recent residential/commercial projects include a retail children's clothing store and an extensive remodeling of a Greenwich Village brownstone. 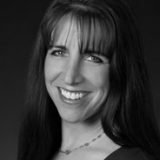 Susan teaches at New York University and The Juilliard School. Her website is www.susanhamburger.com.